Directly supervises campers and assures that the camper’s health and safety are attended to at all times. Does everything possible to assure that the campers have a good experience, according to the philosophies and rules of Camp Wapsie. Supervise the Day Camp program and staff. They must work to know, understand, and motivate each camper. Must direct and assist in all activity areas. Must be at all programmed activities and at all assigned areas for a programmed activity. Supervising the activities of campers at all times. Direct all programming activities for campers. Keep the camper’s safety, health, hygiene, and cleanliness foremost in mind. In any activity follow the policies and procedures of Camp Wapsie and assure that the campers are also following them. Participate in all of the courses, activities, classes, training, and planning sessions during the week of pre-camp training. Maintain all paperwork and documents as directed. Lead or assist in an activity area. Responsible for the cleanliness of the pavilion area, park grounds & around it, the Indoor Chapel and each activity area. Supervise and direct day camp staff. 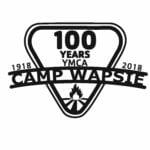 Direct the weekly overnight activity to Camp Wapsie. Must possess the ability to work with and motivate children between the age of 5 and 14. Must possess strong communication and leadership skills. Must be lively, enthusiastic, and energetic when interacting with the campers and staff. Seasonal position: Late May – Mid August.